We are Canadian Paintball®. Badlands Paintball has been passionately involved with paintball since 1988. Badlands started out with a single location in 1988 and has grown into a nationwide retailer with four Canadian store locations and a distribution warehouse in Toronto. Over the years we have learned a few things when it comes to the game of paintball. 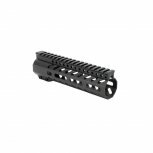 Whether you are just getting started or an avid paintball player, Badlands Paintball stocks paintball guns, paintball masks, paintball hoppers and paintball gear for every type of player. Our knowledgeable staff will be happy to assist you by email, phone or live chat. We love to talk paintball supplies and would enjoy answering your questions - it is what we do. If you would like to play the game of paintball, there are a few primary paintball supplies you will need. This includes a paintball gun, paintball mask, paintball hopper, paintball air tank and paintballs. Badlands stocks a variety of these items in multiple types, styles, and colours. We have everything you need to play the game of paintball! Basic Primary Function - Air powered gun that shoots .68 caliber paintballs. The paintball gun is a core piece of equipment in the game of paintball. There are many brands and styles available. When you first start out, depending on your budget, you can get an entry level blowback paintball gun at an affordable price. Most entry level guns can be enhanced by adding new paintball gun upgrades. If you want some serious firepower, contact us on the Live Chat to explore the best available options. 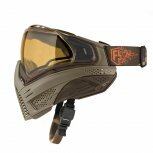 Basic Primary Function – Protects the ears, face, and eyes from direct paintball impacts. The paintball mask is a required piece of paintball equipment and for safety reasons, you cannot play paintball without them. Paintball playing facilities require the use of proper ASTM* approved paintball masks. Most paintball masks come in one universal size with adjustable straps. Not all goggles are built the same and they vary by how much comfort, vision, and protection is provided. *Your safety is important to us, we stock the paintball masks that meet ASTM guidelines for quality and safety. Shop with confidence when choosing your paintball mask. Basic Primary Function – Container that holds the paintballs and feeds them into the paintball gun. The paintball hopper holds extra paintballs before they are fired. Most paintball hoppers have a 200 round capacity. There is a full variety of paintball hoppers ranging from basic gravity fed hoppers to force fed battery operated paintball hoppers. Most players begin with a 200 round gravity hopper on basic starter paintball guns. Eventually, as you want to increase the rate of fire, you will want a force fed paintball hopper. Basic Primary Function – Small cylinder that attaches to a paintball gun and acts as the propulsion for the paintballs. The paintball air tank stores gas that is used to propel the paintballs out of the paintball gun. There are two main types of gas, either CO2 or compressed air/nitrogen. They must be filled at an approved facility familiar with paintball air tanks. A majority of paintball parks will have air / CO2 refills available. Air tanks come in a variety of tank sizes, output consistency, shot capacity and pressures. Basic Primary Function – Brightly colored round gelatin balls with bright fills, used to mark players. In order to play paintball, it is a given that you will need paintballs to shoot at the opposing team. Despite the name “Paintballs”, they are not actually filled with paint. They contain a mixture of ingredients that are easy to clean off once a player is hit. Paintballs can vary in quality based on a few key factors which include Shape, Fill Color, Brittleness, Fill Density and Age. 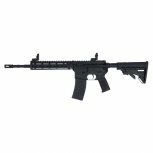 Badlands Airsoft – Buy airsoft guns from a leading Canadian airsoft store. It is a little-known fact that we played airsoft, and sold airsoft equipment from our Toronto store, back in the 1990’s. When the laws changed, requiring all airsoft guns to be made of clear plastic, we exited the market but returned when the laws changed yet again, allowing us to play the sport the way it was meant to be played. 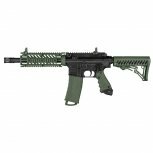 All of our stores offer a wide selection of airsoft guns and equipment, making us the only Canadian airsoft store chain with national coverage. Toronto airsoft players can visit our Toronto Megastore location, which offers a huge selection of airsoft guns and gear to choose from, and expert staff to help you make the best decision when you decide to buy airsoft guns or accessories. Our knowledgeable staff will be happy to assist you by email, phone or live chat. We love to talk airsoft and would enjoy answering your questions - it is what we do. 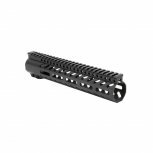 If you would like to buy airsoft gear, there are a few primary products you will need. These include a primary airsoft gun, airsoft bbs, and airsoft goggles (eye protection). Depending on which airsoft gun you choose, you may need an airsoft battery & charger, green gas, or CO2 cartridges. We recommend adding some spare magazines for your airsoft gun, and an airsoft gun bag! Basic Primary Function - Air powered gun that shoots round .6mm plastic bb projectiles. The airsoft gun is the core component to the game of airsoft. When choosing an airsoft gun, there are a variety of options, including guns made to one-to-one specifications of real-steel guns. You will even find some models available from your favourite first-person shooter video games. Most players start by choosing an AEG (Automatic Electric Gun) airsoft rifle as their primary gun. A pistol or sidearm is a common secondary option. The performance of most airsoft guns can be enhanced, by adding upgraded parts and accessories. Basic Primary Function - Small plastic .6mm balls used as projectiles shot from airsoft guns. 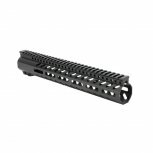 In order to play airsoft, or to shoot targets, you will need airsoft bbs. There are different brands, weights, colours, quality grades, and biodegradable options available. With so much to choose from, it can be confusing buying airsoft bbs. We have a full selection of bbs available, with detailed information designed to help you choose the right BB for you. Basic Primary Function - Protects your eyes from direct bb impacts. Airsoft goggles are a required piece of equipment for safety reasons - you cannot, and should not, play airsoft without them. Airsoft parks and playing facilities require the use of an ANSI approved lens. Most airsoft goggles come in a universal size with adjustable straps. Not all airsoft goggles are built the same, and they vary by quality of vision, comfort, style, protective coverage, and price. We stock a variety of options. *Your safety is important to us, we stock airsoft goggles that meet ANSI guidelines for quality and safety. Shop with confidence when choosing your airsoft eye protection. **Paintball goggles are ASTM certified (rated higher than ANSI) and are approved for airsoft use. Basic Primary Function - Conceal and protect airsoft equipment during transport. We recommend getting an airsoft gun bag. Gun bags can also be considered a safety device by keeping your airsoft gun out of sight during transport. Reputable airsoft stores and shops, outdoor parks, and indoor playing facilities require the use of gun bags. Beyond safety, the gun bags offer padding and thick rugged materials to help keep your airsoft equipment from getting damaged. Basic Primary Function - The power source for automatic electric guns (AEGs). AEG (automatic electric guns) require the use of a battery to power the motor. 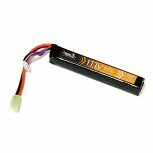 Airsoft batteries come in a variety of configurations, materials, connection types, voltages, and power (mAh). 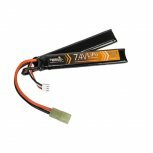 With all of the options available, it can be confusing to choose the right airsoft battery for your gun. We have a full section on our website with detailed information to help you choose the right airsoft battery for your gun. Basic Primary Function - Containers that hold extra airsoft bbs. 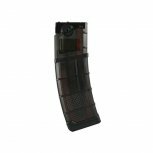 Carrying spare airsoft magazines will allow you to stay engaged in the game longer since you will not have to worry about running out of ammo during game play. Another benefit is the ability to loan out your magazine to other players on your team to keep them in the game longer. We recommend having at least two spare magazines, a tactical vest with a magazine holder, and a dump pouch. If you are in the GTA - come visit our Toronto Airsoft Megastore. We have everything you need to play airsoft, and expert staff, who play airsoft, to assist you with any questions you may have.